I'd never seen a Virginia rail, but I got the chance on Sept. 9th to see one at Swampy Pin Oak and near the Lake in Central Park. This little visitor caused quite a bit of excitement among the bird watchers. My video is very short — it was hard to see the bird as it dug in the mud for insects. A Virginia rail at the Lake, Central Park, Sept. 9, 2016. I have been fortunate to see a lot of redstarts over the past few years, and always delight in their yellow spots on their tails. But I must say that on Sept. 10, I was grinning my face off as I watched one young redstart take a bath at Triplets Bridge. I've taken videos of a lot of birds bathing, and there will be a Bird Bath II coming soon. But I just couldn't wait to share this bird's joy of bathing, which I set to music by Charles Gounod. 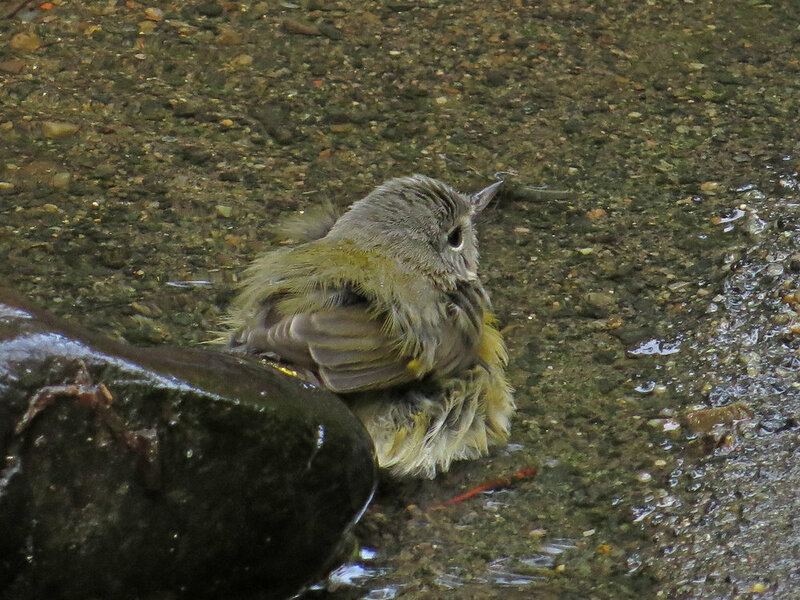 A young redstart pre-bath at Triplets Bridge, Sept. 10, 2016. I set the Virginia rail Filming the Feathers video to Chopin. Some more photos of the rail, and of our happy redstart.